Surveillance Training Courses, there are many out there but which one should you choose?  Titan Investigations is an established National operational surveillance company which was founded and currently managed by a former Police National Counter Terror Surveillance Team Leader. 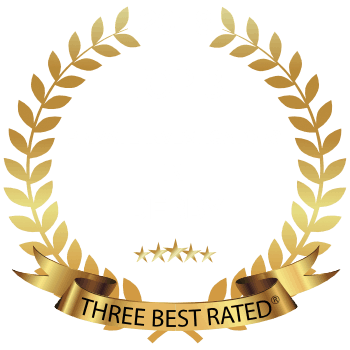 To date, we have 137 professional surveillance operatives on our books, the majority of which are from a former government background with years of expertise and operational experience.  These in our opinion are fundamental elements that a professional surveillance operative is required to possess, however, a student appears to still be able to be awarded a qualification after receiving no training in these areas. A surveillance team can work their socks off and be the best team in the world, however, there are two commonly used phrases within the commercial sector. It is key to have a stable camera platform and sharp in focus imagery. If you provide little imagery in a report which is poorly structured then the client will judge the performance of the operatives based upon this. 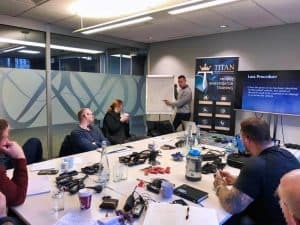 In response to this huge failing by the majority of the UK surveillance training course providers who churn out substandard operatives as part of their conveyor belt business model; In 2016 Titan developed a 5-day surveillance training programme.  Our surveillance training programme was co-authored and instructed by 2 former government surveillance trainers with a wealth of both public and private operational and training experience. 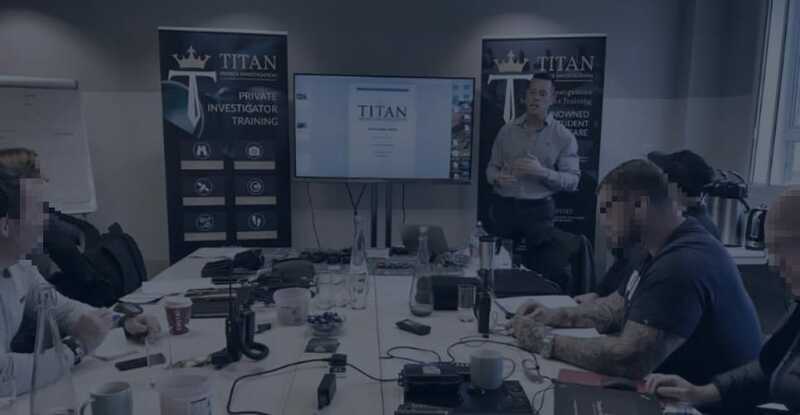 The Titan surveillance training course has been priced so as to be a non-profit-making venture, developed solely to meet operational demand and to raise the standards within the surveillance industry. 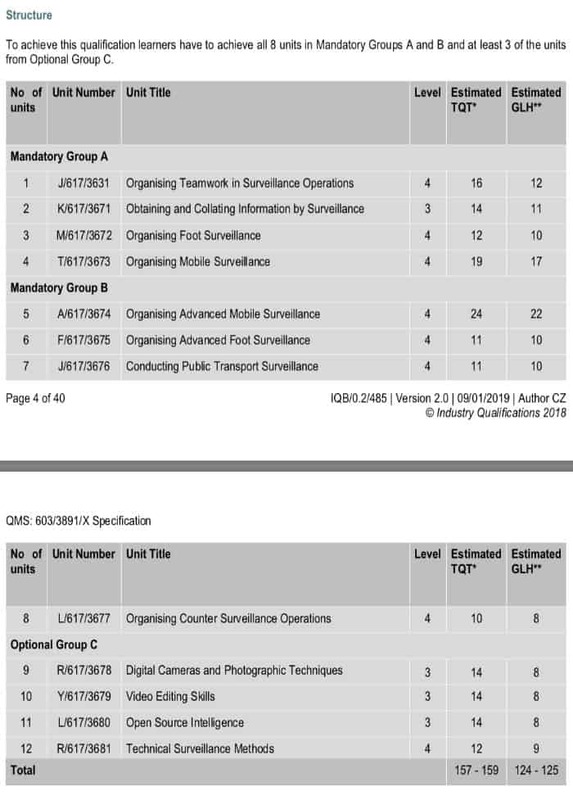 A brief overview of Titan’s 5 Day Surveillance Training syllabus can be seen below, which you’ll notice covers the 3 areas mentioned earlier which in our opinion are the failings of most newly qualified operatives. Our students are certainly put through their paces with the enhanced content which makes for a steep learning curve. Students receive one to one debriefs at the close of each day with their trainer where they are made aware of developmental areas and strengths. During the course each student will prepare 2 surveillance reports and learn how to convert imagery gathered throughout the day to display the time and date stamp. This course is designed to equip the student with everything they need to know to become a successful surveillance operative and not look stupid on their first deployment. What do our students have to say about the surveillance course? We don’t stop there though!! Titan goes the extra mile to ensure employment, development and success!! All successful students are entered onto Titan’s industry renowned ‘GROW’ aftercare programme. 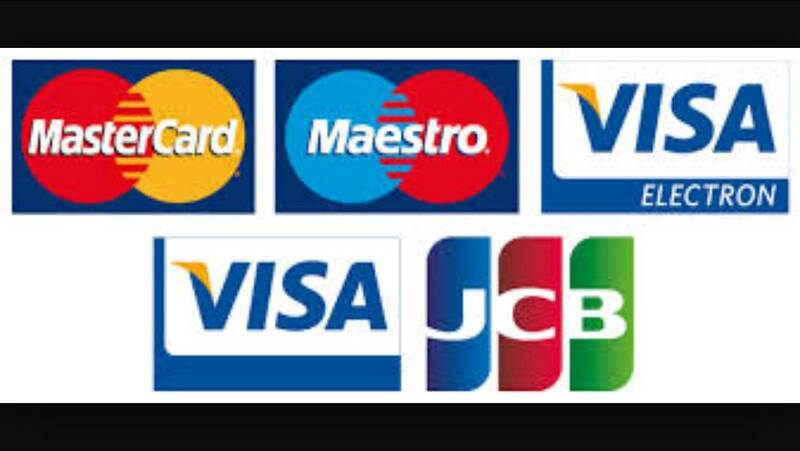 Aftercare is key, we don’t just take your money, train you and then leave you to find your way within the industry. At Titan, we are proud of our ‘GROW’ aftercare program. Group - Added to Titan’s Operational Resourcing Group where students will be allocated their first operational tasks. Recommend - Advised on equipment, setup, tactics and the law. Ongoing Support - Allocated a mentor to instil success in the early stages of your career when you are judged the most. With You - Double crewed or working with your mentor on your first live operational deployments to ensure your confidence grows. When are the Surveillance Training Courses? In January 2019, awarding body Industry Qualifications (IQ) developed a ‘general’ qualification in surveillance which is listed on the OFQUAL National Qualifications Framework. This was no doubt in response to the low standards in training within the industry and non-uniformity of training provided by the majority of UK training providers. The course is now listed on the National Qualifications Framework as an IQ Level 4 Certificate in Managing Surveillance Operations. 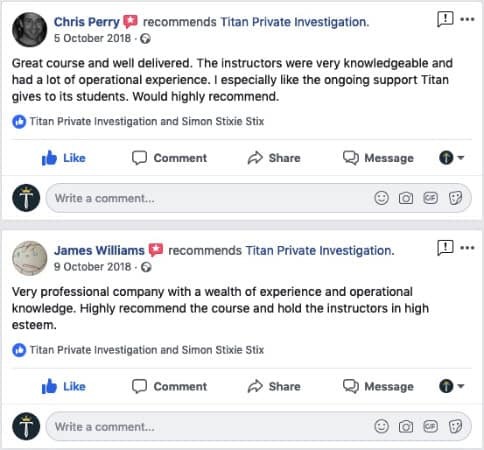 From researching the course syllabus, it would appear that these three areas that Titan Investigations highlighted in 2016 have now thankfully been addressed. This can only be seen as a positive move in raising standards. Surveillance Training Courses, who do I contact? Alternatively, contact us by email using our fully confidential contact form and one of our team will get right back to you or talk to us directly using our Live Chat or via our Facebook page.